My first assessment of St.Louis was unfair. I wasn’t in the right spot and I never goto explore the city. 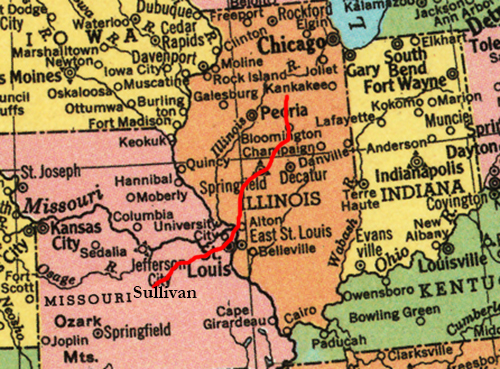 Subsequent trips there would prove to me how wrong I was about St. Louie. Kyle and I actually stayed on Route 66, but bypassed a lot, including Meramec Caverns, a cool, peaceful hike inside Mother Earth. I think we were feeling so lost and defeated by Route 66 we were both thrown into a funk, which is why we stopped in the middle of nowhere and stayed at a motel just across from a truck stop/diner that no longer exists. 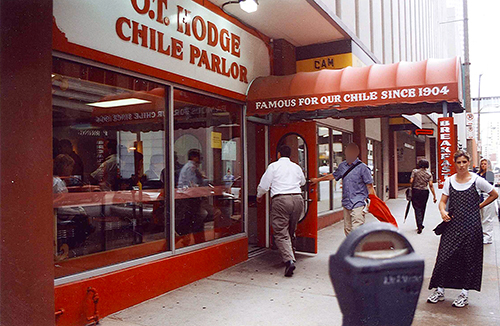 To make matters worse, I couldn’t fall asleep until 1 a.m.
O. T. Hodge Chile Parlor, where the chili tasted just like Hormel, but the service and clientele was excellent. July 12, 2001. 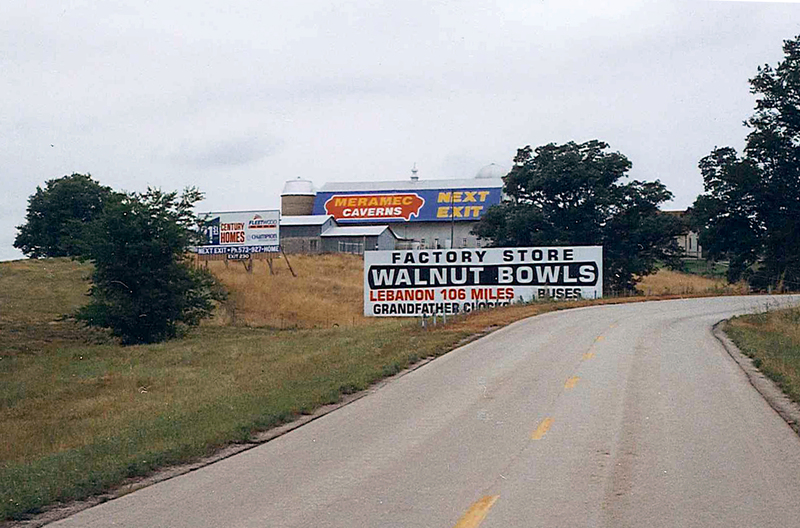 A sign on the side of a barn advertising Meramec Caverns in Stanton, Missouri. At the time I didn’t wan to pay the $10 entry fee, What and idiot I can be. July 12, 2001. 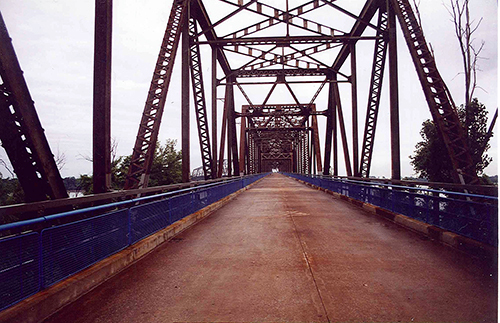 Chain of Rocks Bridge originally took you to the outskirts of St. Louis from East St. Louis, Illinois. it is now a hiking trail. July 12, 2001.